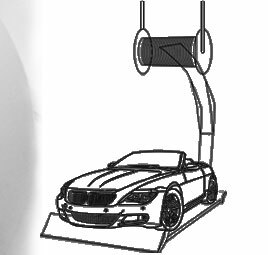 The automobile exhaust extraction system is the perfect solution to eliminate the smoke/fumes released from the exhaust of an automobile during its testing or working in a lab/garage. 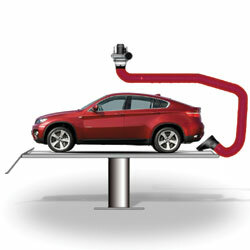 This system enables direct suction from the source of emission using a special nozzle. The flexible hose-pipe enables this system to be used over a wide operating distance and thus makes it ideal for large workshop applications. A considerable amount of precious energy from the vehicle is saved as the nozzle is directly fit into the exhaust pipe and only wasted/polluted air is removed.